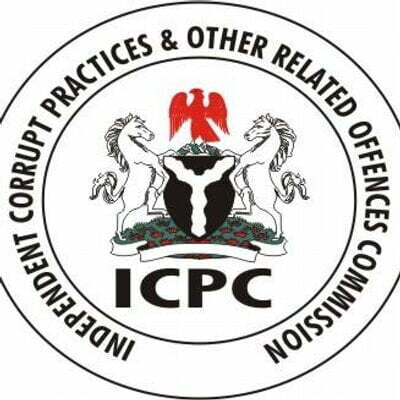 The Independent Corrupt Practices and other related offences Commission (ICPC) has launched a full scale investigation into allegations of mismanaging N2.5 billion of the N10 billion grant for the digital switch-over programme of the Nigerian Broadcasting Corporation (NBC). It was gathered that the sum of N10 billion was released to NBC in 2016, through the Ministry of Information and Culture for the digital switch-over programme, which entails migration of telephone lines from analogue to digital platforms and a White Paper was issued directing that the process be specifically handled by government-affiliated companies. But inside sources hinted the anti-graft agency that over N2.5 billion had been squandered by the top director of the corporation as there was nothing to show for the amount claimed to have been spent by the management. This prompted the commission to summon the NBC Director General, Dr. Ishaq Moddibbo Kawu, and other top management staff of the agency for questioning over their alleged involvements in the misapplication of the fund. ICPC spokesperson, Rasheedat Okoduwa, who confirmed the grilling of the NBC DG and other senior staff to Daily Trust, said the commission studied the guidelines provided by the White Paper and discovered that two companies were nominated to handle the process, one of which was ITS, an affiliate of the Nigerian Television Authority (NTA) which got N1.7 billion for the commencement of the switch-over. â€œThe N2.5 billion was paid into the Zenith Bank account of Pinnacle Communications Limited in May/June 2017 for the programme,â€ she alleged. Onifade, during interrogation, confirmed the release of the funds to the company. He could not justify that the money was used for the purpose of digital switch-over. The spokesperson stated that through investigation, it was also discovered that several suspicious transfers of large sums of funds from the account of the company into the bank accounts of several organisations and individuals took place. â€œIt was found out that N100 million of the fund was paid into the personal bank account of Mr. Onifade in Zenith Bank, which he claimed was for legal services that he had rendered to the same Pinnacle Communications where he is employed. â€œAlso, investigation revealed that another N450 million was transferred into the account of Sabdat Investment Limited, a Bureau de Change, which then converted the money into dollars and handed it over to the Chairman of Pinnacle Communications Limited, Mr. Lucky Omoluwa, in his Kaduna residence,â€ she said. She said that investigations was still ongoing.